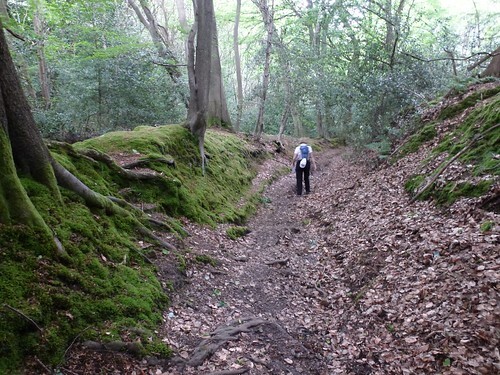 Given as how the Thames Path is not hilly and Mary wanted to do hills in preparation for Coast-to-Coast she tracked down a hilly Sunday walk for us: Time Out Country Walks volume 1. 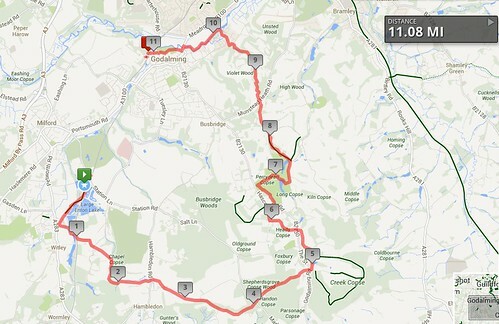 Walk 20 : Milford to Godalming - The Greensand Way, Winkworth (a NT Arboretum), a canal, and historic Godalming. Distance 11.1 miles. Caught the train to Milford. 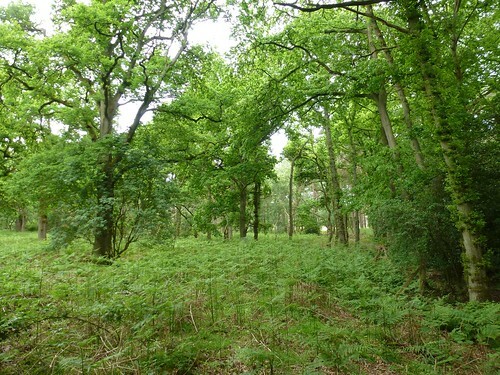 Dales and moors are all very well but this is the kind of countryside I grew up with - gentle hills, small fields, deciduous woods with fern undergrowth. Lanes that reek of times gone by - these are ancient lanes. I can imagine them being trodden by our ancestors thousands of years ago. 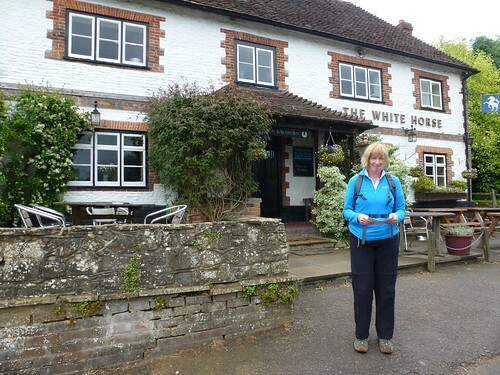 A large chunk of the walk was along the Greensand Way - a walking route that starts in Haslemere, Surrey and ends, 108 miles later, at Hamstreet in Kent near the coast south of Ashford. 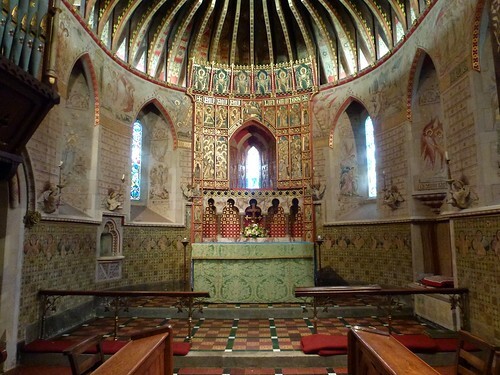 Lunch was at the White Horse pub in Hascombe, a village with a remarkable church covered in wall decoration, so that it looks almost Moorish. 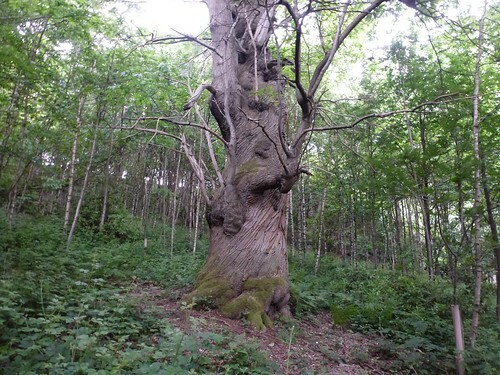 Then more woodland walking including some amazing, gnarly trees. After the woods it was more delightful countryside - this is Tolkien-style Shire landscape. The last mile we had to crank up the pace in order to catch the train from Godalming or have an hour to wait for the next one. We made it with three minutes to spare.